Posting extra early because, well, I’ll be too busy tomorrow; gorging on toys and playing with my food. Much trouble to be found, secret plots to carry out, that sort of thing. A big Merry, Merry - Bah, Humbug - and Cindy Lou Who to you and yours. Merry Christmas, Chanukah and general cheer! To you and yours, the very best of the holiday season! 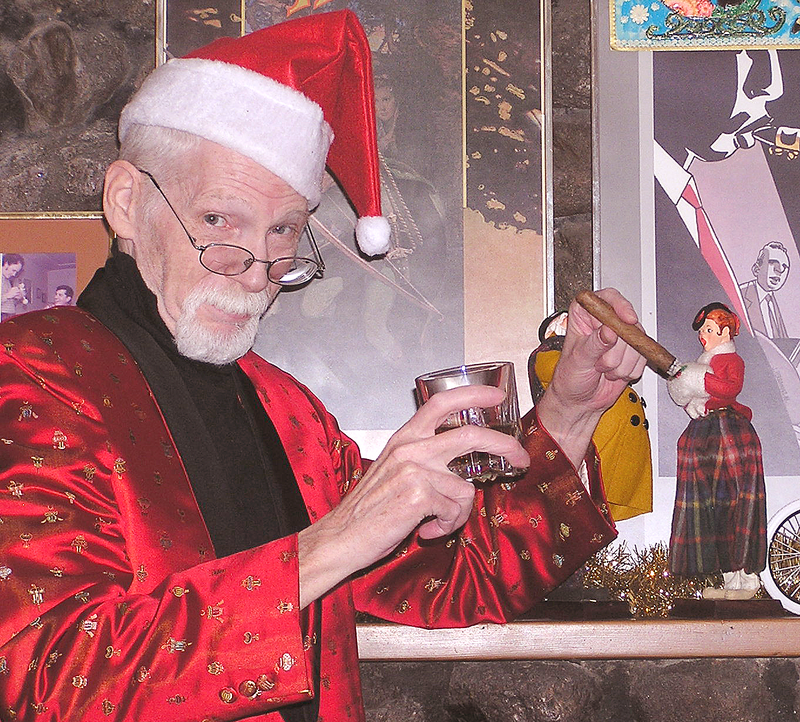 There's nothing like a smoking jacket to announce "I am up to no good." Just making sure the gremlins are being kept at bay.